Posted On September 02, 2016 by Team iCynosure. 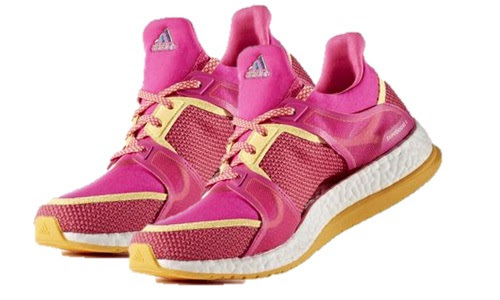 A couple of weeks ago, my daughter cut the laces of my brand new Adidas Pure Boost X Training Shoes, I didn’t know whether to be upset or feel humorous. Luckily just before she decided to navigate through other parts of the footwear, except the laces she decided to call out to me to show her creative art. It was a tough task getting her to let go her creative project. Anyways, once I realised that the original laces couldn’t be used, I headed out for the replacement ones. I found nothing, not even in their brand shops. Even locally the laces didn’t match up in terms of quality and the colour, length and shape couldn’t be matched. Being the internet savvy blogger that I am, I began my search online as I was sure to find one at one of my favourite online stores. However, hours of searching remained unfruitful and by the end of the evening, I was super disappointed. I thought about getting the regular laces from a local brand as nothing much could be achieved. A last shot on the mobile, on my way home to a browser search of ‘find replacement laces for Adidas’, got me to the online shoelace shop Laces Out. 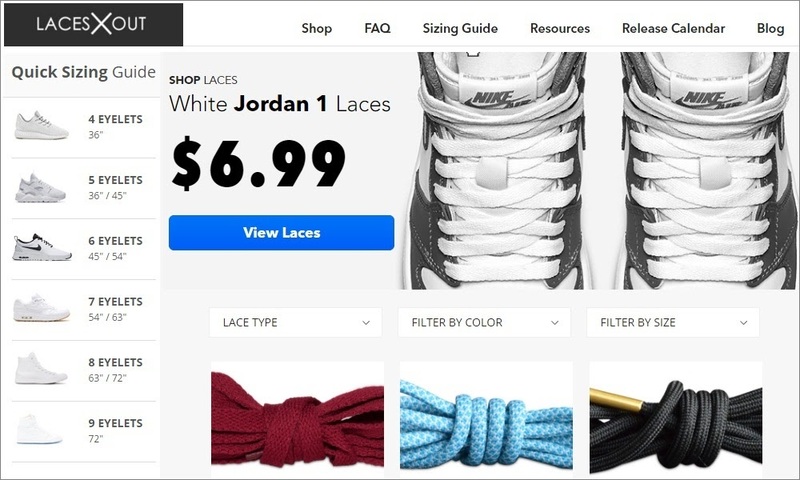 I was excited to check out an online shoelace shop that makes buying a small yet very important item so much easier. To find the best match, I searched using the details about the lace I was looking for. The results were astounding, perfectly similar to the original lace and I trod with caution. 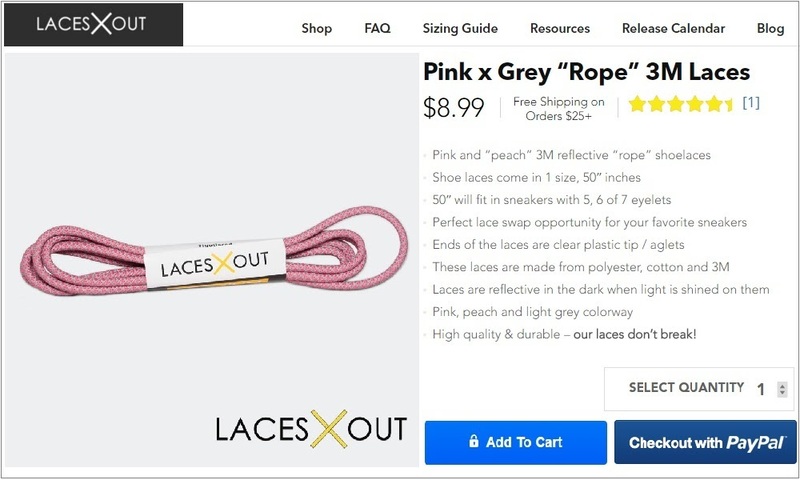 After a thorough search through the options, I zeroed down on the Pink x Grey Rope 3M Laces. The amount of information, detailing about sizing, colour, etc. along with a description of why a particular type of shoelaces might be the right fit for the shoes. The abundance of information found on the website is amazing, especially the resources section including various guides about lacing. Who can believe lacing can be so informative. Finally, to sum up my shopping experience, I would say it was much simpler and way more convenient than regular shopping as I made an informed decision about the product I was buying. Have you ever had a hard time looking for a simple product? Share your experience below.